Plastar is the brand of grain bags that we sell to accompany our Richiger Grain Bagging Systems. 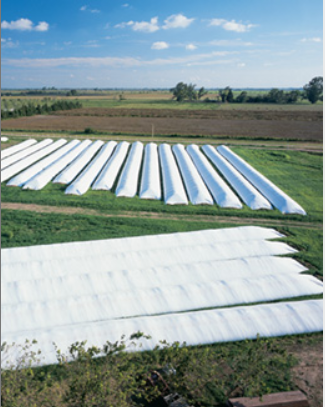 Plastar bags are offered in 9 or 10 feet in width by up to 333 feet in length. We offer Plastar Grain bags that are the thickest in the industry at 9.3 mil. Although others might claim that bags are thicker, our bags have been tested and are at the highest in the market. Our grain bags are reasonably priced and can save you time and money by bagging your grain in the field.